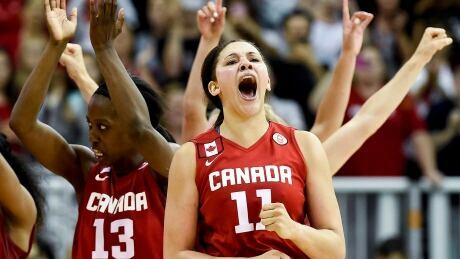 In this segment of Canada Rising, women's basketball team member Natalie Achonwa talks about what it will take to add an Olympic medal to her golds from the Pan Am and FIBA Americas tournaments. 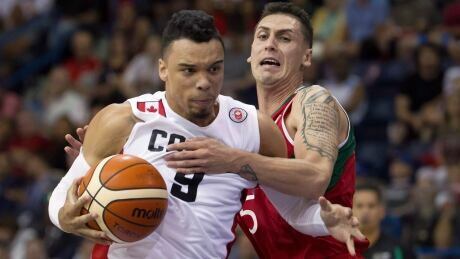 College sophomore and Mississauga, Ont., native Dillon Brooks is the focus of the latest episode of Canada Rising. 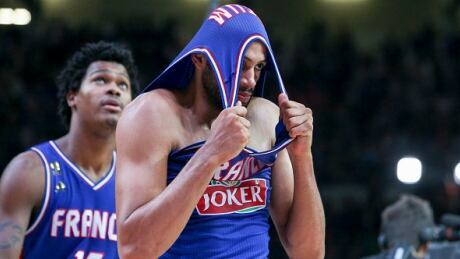 Many of France's top NBA stars announced they would not play for the country in July's Olympic qualifying tournament in Manila, Philippines, which could make Canada's route to the Rio Games a bit easier. 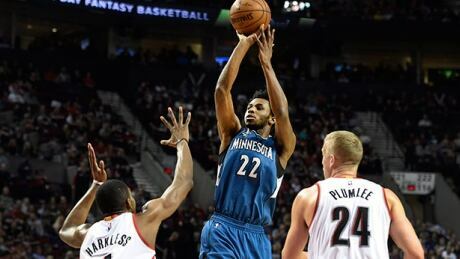 In the latest segment of Canada Rising, NBA sophomore sensation Andrew Wiggins becomes the centre of attention. 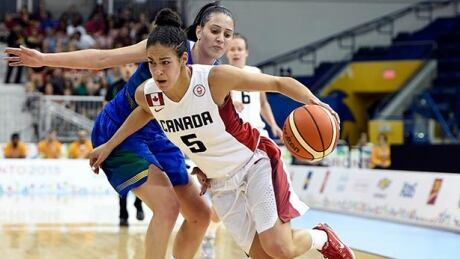 Kia Nurse isn’t just a budding star on the basketball court. To many, the 20-year-old's early success is viewed as a launching pad to attracting young Canadian girls to the sport, just like Christine Sinclair's influence has stretched beyond the soccer pitch. 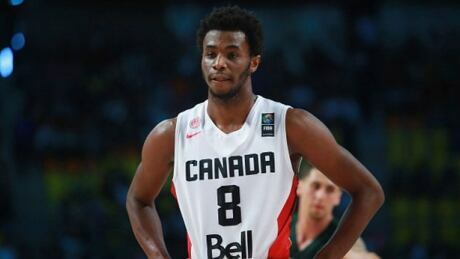 When Andrew Wiggins responded to a question about his status for Canada's men's basketball team this summer, his answer was non-committal. 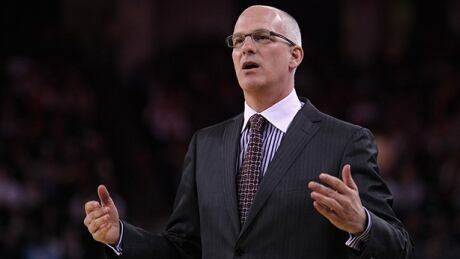 The Minnesota Timberwolves forward told a scrum of reports prior to his team's final game of the season that he "will cross that bridge when we get to it." It's a good time to be Lisa Thomaidis these days. 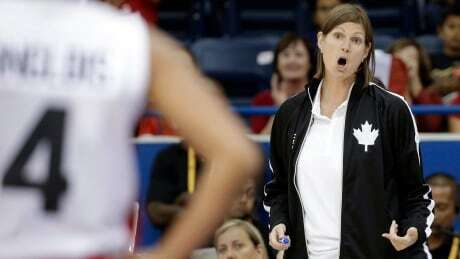 The head coach of Canada's women's basketball team and the University of Saskatchewan Huskies is riding an all-time high. And with that success, come even greater expectations for the Rio Olympics. With the NBA All-Star Game in Toronto this weekend, the quality of Canadian basketball is in the spotlight. Canada's head coach Jay Triano reflects on the disappointment of the fall, and what lies ahead on the road to a last-chance Olympic qualifier. 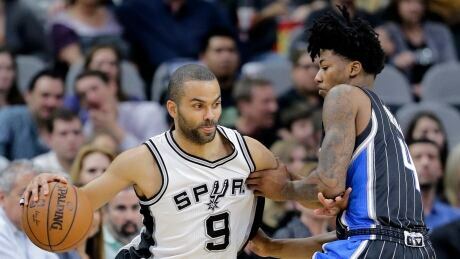 Canada's men's basketball team will have to get through San Antonio Spurs' Tony Parker in order to get a spot at the Rio Olympics. 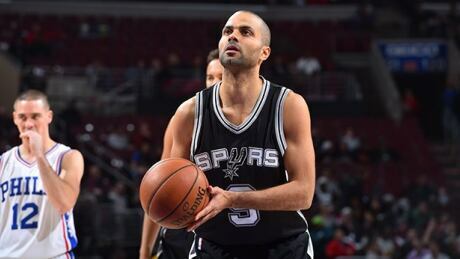 The Canadian men's basketball team's chances of making the Rio Olympics could improve if French point guard Tony Parker is forced to miss a July qualifying tournament due to his wife's pregnancy. You are currently browsing the archives for the Sports/Olympics/Canada Rising category.